This boy's Mandarin Jacke and pants were probably his new clothes or Chinese New Year. 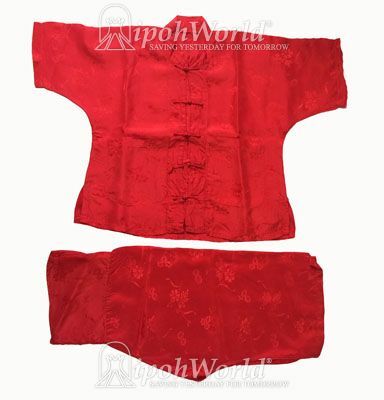 The jacket has traditional red Chinese flower buttons and the matching material of both parts has a range of different glower patterns in the silk. We estimate the boy was two years old when he wore these.